Join the young professionals in the Chamber for this great networking event. 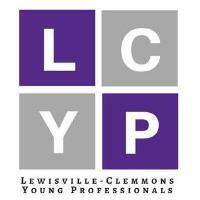 The Lewisville-Clemmons Young Professionals is for 21-39 year olds that would like to build relationships, increase value to their employers, develop leadership skills and advance their careers in the business community. The LCYP meets the second Wednesday of each month. Questions? Please contact Ben Humphrey with State Farm Insurance at ben.humphrey.wkn8@statefarm.com for more information.